On a small farm near Monrovia, Indiana, just four days after the Christmas of 1865, Arthur C. Newby was born. His first love was the bicycle, so he helped form the Zig-Zag Cycling Club. The club was known for its bright uniforms and frequent weekend rides, including the Century Ride, a round trip journey to Bloomington of approximately 100 miles. Then, in 1890, he founded the Indianapolis Chain and Stamping Company, which supplied 60% of all the bicycle chain in the America. Indianapolis Chain became Diamond Chain, and switched to roller chain production, providing the chain used on the Wright Brother's first flying machine, and Henry Ford's first automobile. In 1898, he built a quarter-mile, steeply-sloped, wooden bicycle race track near what is currently 30th Street and Central Avenue in Indianapolis. "The Newby Oval" was one of the top two bicycle racing tracks in the United States, and its grandstands held 20,000 spectators. 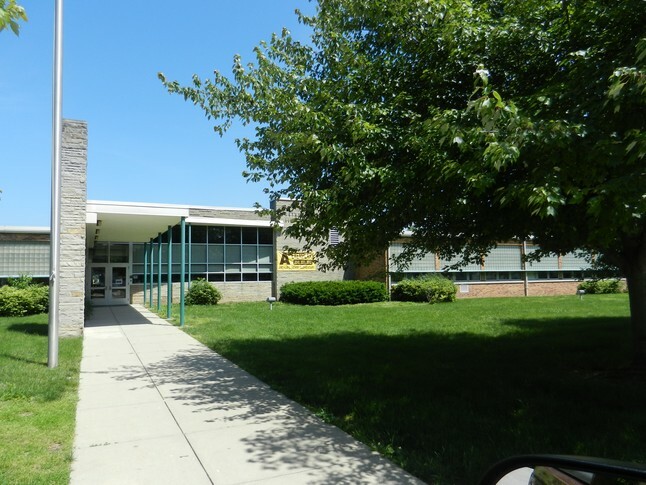 It was a major sports facility for the city, also being used by Indiana University, as well as high school teams, for football games and track meets. Newby put a racetrack in a cornfield, and for the first time, showed that our city had what it takes to host a major sporting event. 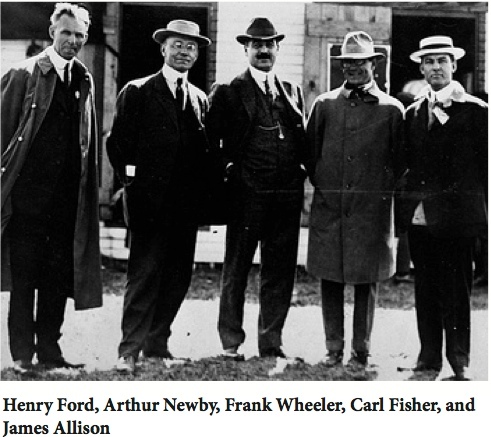 Two of his partners on that bicycle racing track venture were James Allison and Carl Fisher. Newby donated over $100,000 to help open the James Whitcomb Riley Hospital for Children. He bought and donated 233 acres of woodland to help develop Turkey Run State Park. He was also personally responsible for the education of hundreds of students, with his grants to Indiana schools. But perhaps most impressive, was that Arthur Newby cared for hundreds of Indianapolis residents in need, and discreetly purchased houses for homeless families. By some estimates, hundreds of people benefited from his anonymous generosity. It's no wonder he became know as "the quiet philanthropist". Arthur Calvin Newby died in Indianapolis, on Monday, September the 11th, 1933, at the age of 67. He is buried in Crown Hill Cemetery.